Monday, July 16, 2018 is AmazonPrime Day. 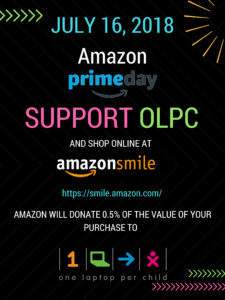 When you shop online at AmazonSmile, Amazon will donate 0.5% of the value of your purchase to OLPC. Here’s the link to shop at AmazonSmile and support OLPC! Click Here to Support OLPC Now! In each OLPC program school, it is important to measure the impact on student learning and success. OLPC works with the local project team to design a system to monitor various educational indicators as articulated by the local educational community and stakeholders. The data collected during the monitoring process provides real time information about the impact of each program which can be used to make strategic implementation decisions at any given time. OLPC uses several metrics to measure academic impact, including the Early Grade Reading Assessment (EGRA) and the Early Grade Math Assessment (EGMA). Both assessments are international standardized exams designed to measure student achievement in basic reading and math skills. OLPC trains local teams to gather baseline data using these assessments. Results are used to design and improve teaching strategies focused on strengthening reading and math skills in participating students. OLPC teams use several data collection tools to measure impact on attitudes about education and the future. Our teams survey school leaders, teachers, students and families regarding their own assessment of the educational program. All of this feedback is used to strengthen the program in areas as dictated by the local educational community. 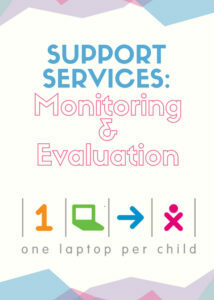 Monitoring and evaluation is an essential component of every successful OLPC program. 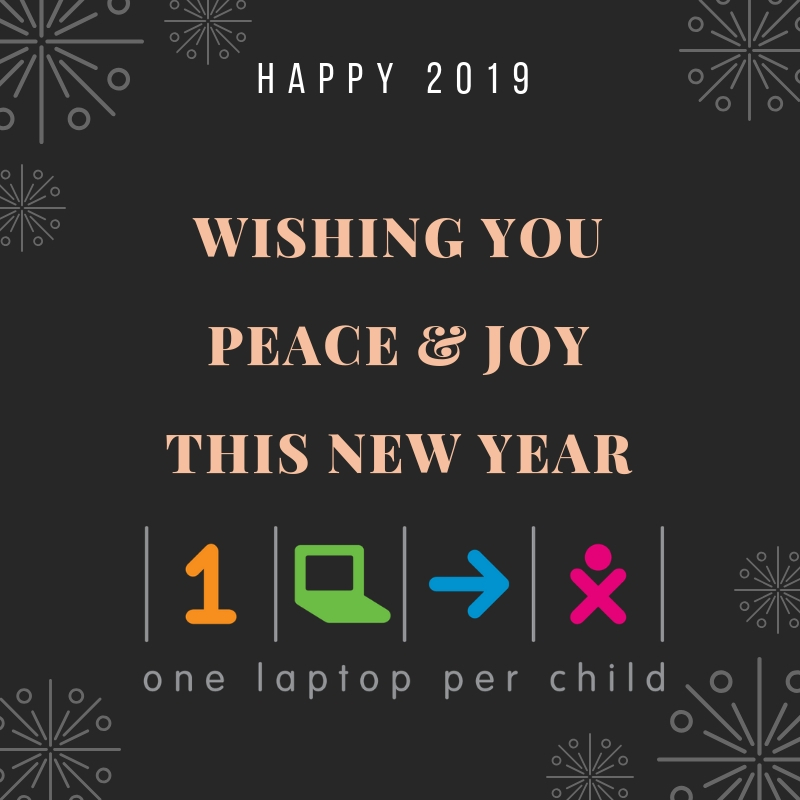 OLPC’s goal is to have a positive impact on each participating school, teacher and student, in an effort to create a brighter future for all. Stay tuned for the next OLPC update to learn about the program’s impact on specific schools and communities around the world.